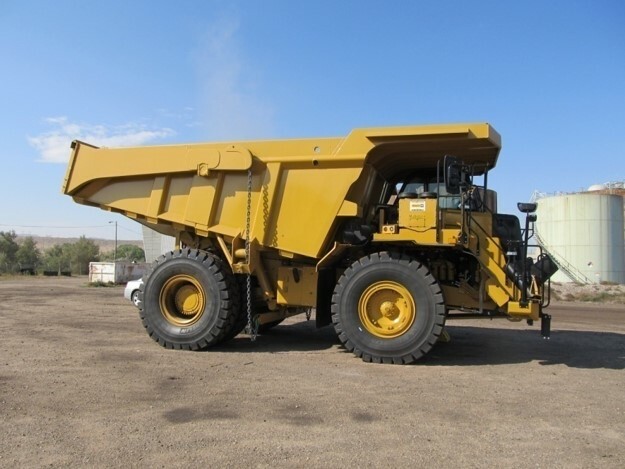 We offer a variety of truck bodies. 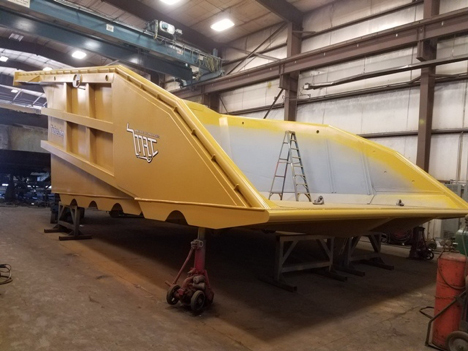 Features and benefits of the Tube Box body include a light weight design which is specific to the application, this light weight design allows for a greater payload capacity than standard truck bodies. Through the use of side sloping the canopy a more accurate and more consistent payload is achieved. A light weight design can also add an increase in fuel savings as well as unnecessary tire wear due to a lower empty vehicle weight. The Tube Box design is structurally stronger and yields a lower center of gravity. 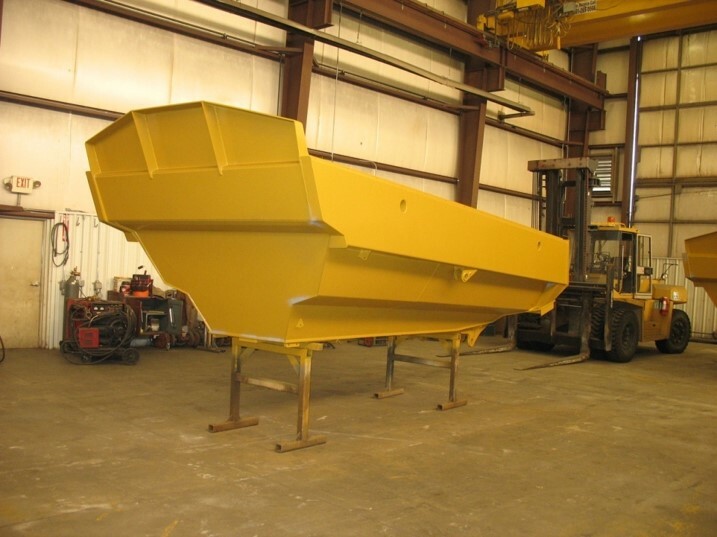 This patented, tubular design allows for ease of manufacturing and elimination of weld seams on the truck body. The “Component Tube” used on the floor consists of two tubes capped with a web plate. This configuration allows for a stronger bolster when compared to the traditional bolster as well as an increase in torsional resistance to stress. Using tubes allows for ease of manufacturing, tube can be purchased in lengths up to 60 feet, this allows for the top horizontal bolster to be one piece. Formed and bent bolsters are limited by a press break; this means that the same part, if bent from flat plate, would be in two or three components. The tubular structure also allows for ease of assembly, saw cutting tubes allows for flush fits at all joints, as opposed to formed and bent joints where gaps will need to be filled and bolsters will need to be welded under stressed. 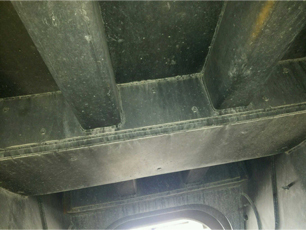 The use of seam track welding can also be applied to the Tube Box body, this allows the technician to preheat and weld two seams simultaneously. 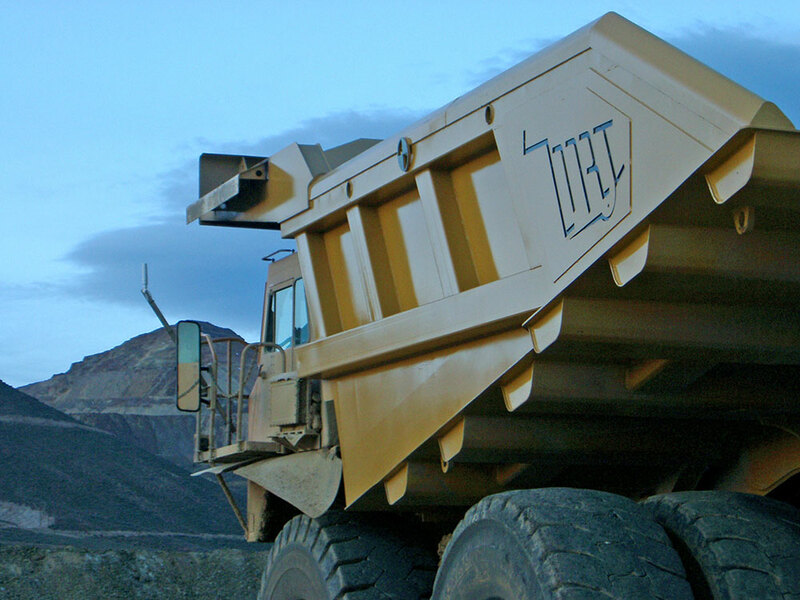 Mine Rite Tube Box truck bodies also feature an “EZ-Load” side wall. 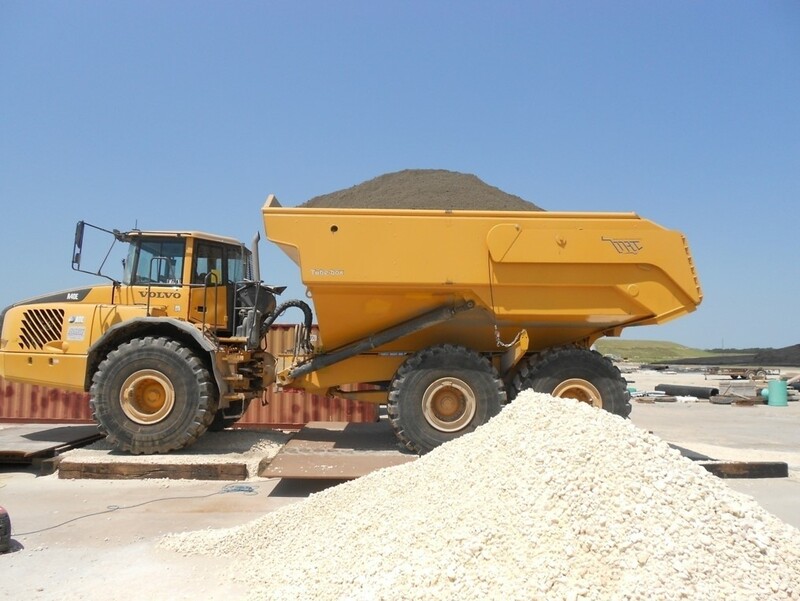 This does not affect the payload capacity of the truck body and allows the shovel operators more room when loading. 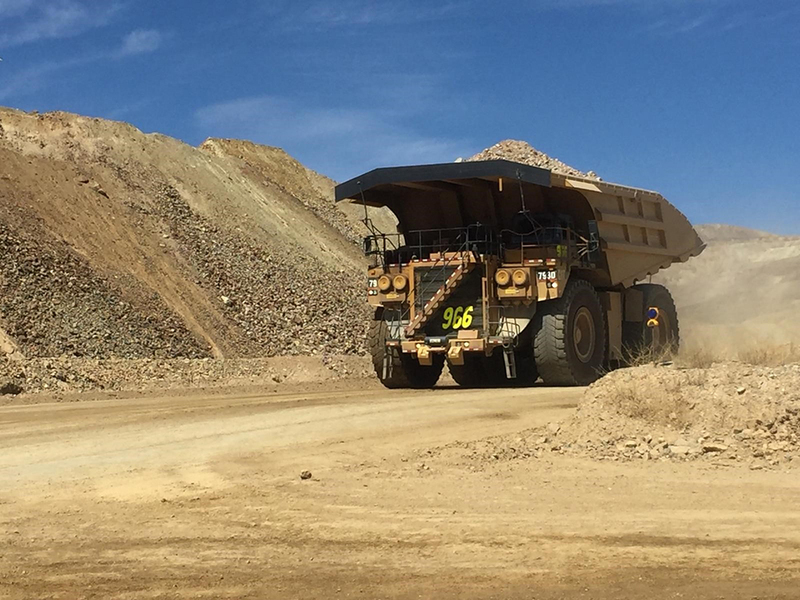 The Mine Rite Elim-A-Gate coal/combo body provides the customer the productive equivalent of a coal body with a tail gate. 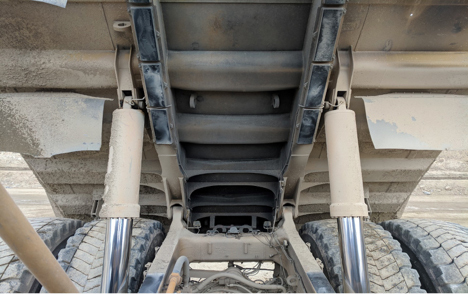 This can be done by increasing the angle of the rear portion of that truck body so that greater payload retention occurs. A material dam is placed at the rear of the canopy to ensure a proper axle split of the payload. 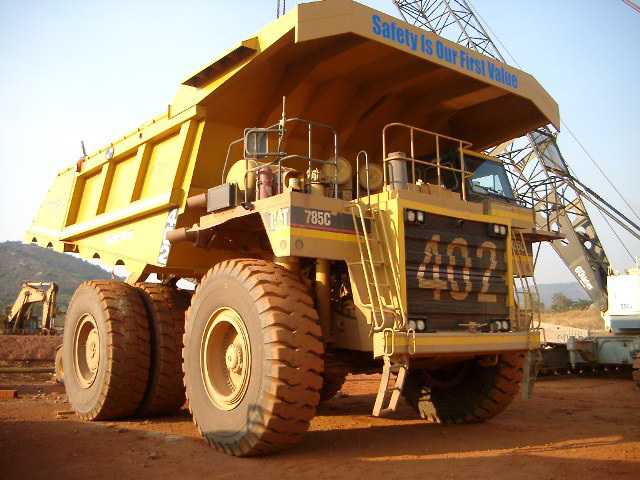 Elim-A-Gate truck bodies can be built new or overburden truck bodies can be rebuilt to an Elim-A-Gate through Mine Rite’s conversion process. At Mine Rite we have the ability to create or convert any type of specialty attachment. 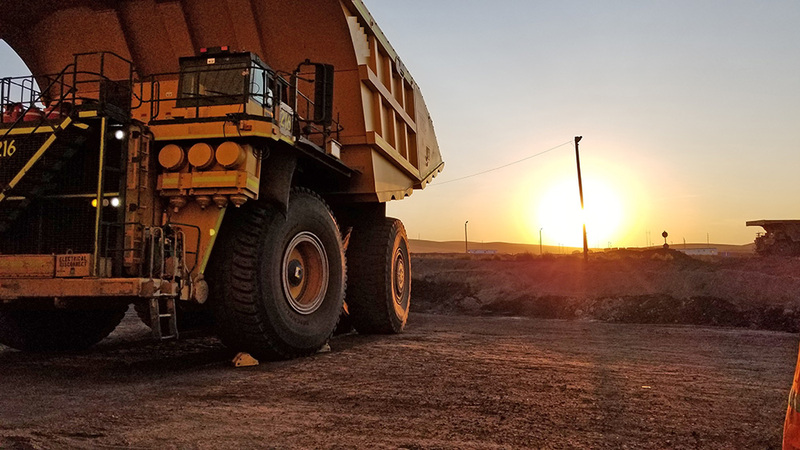 Examples of this in regard to truck beds are fly ash truck bodies, fly ash truck body conversions, and specialty articulated truck bodies (both surface and underground). 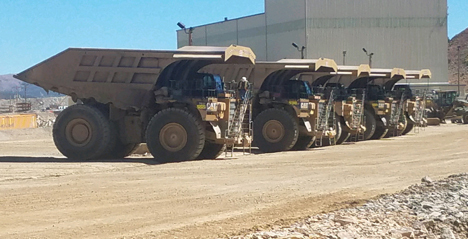 Ejector style, light weight design for an underground application which maximizes the payload capacity of the truck. 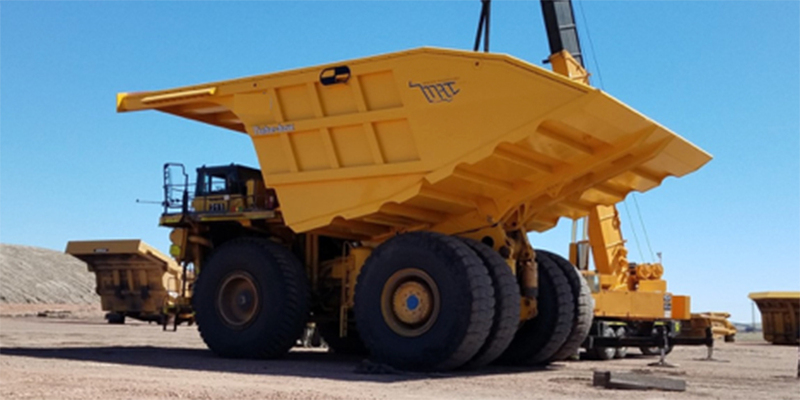 CAT 730 Narrow Truck Body – Build new for CAT730 trucks, the narrow configuration is so the bodies can be used in on-highway applications.